A recently converted and superbly located good sized double bedroom in this well-appointed house share. The room has shared access to two shower rooms and large modern well-equipped kitchen. The property is a short walk to the town centre and local amenities. The rent includes all bills. Reading Lettings are delighted to offer this large double bedroom with en-suite shower room within a 5 bedroom shared house. Popular location with students and professionals alike with local public transport links on the doorstep giving easy access to Royal Berkshire Hospital and the town centre. A modern, furnished double bedroom with en-suite as part of a 5 bedroom house share available from the beginning of February. The room is furnished with double bed, double wardrobe, chest of drawers, desk and under-counter fridge. Additional benefits include double glazing and gas central heating. Reading Lettings are delighted to offer this large double bedroom with en-suite shower room within a shared house. Popular location with students and professionals alike with local public transport links on the doorstep giving easy access to Royal Berkshire Hospital and the town centre. A well-appointed double bedroom as part of a 3 bedroom flat share. The room is fully furnished with built-in wardrobe, double bed, chest of drawers and bedside cabinet. The flat also features a modern communal kitchen/dining area with appliances, modern shower room and additional WC. A well presented studio room consisting of a large double bedroom with en-suite shower room, a fitted kitchen and access to a shared laundry area. The studio room has easy access to Reading town centre, West Reading train station and M4 junction 12, The rent includes most bills and is available now. A recently converted and superbly located large double bedroom in this well-appointed house share. The room has shared access to two shower rooms and large modern well-equipped kitchen. The property is a short walk to the town centre and local amenities. The rent includes all bills. A well-presented first floor flat within walking distance of Reading town centre. The property comes fully furnished and comprises living room/fitted kitchen with appliances, double bedroom with fitted wardrobe and bathroom with shower over. Gas and internet charges are included in the rent. 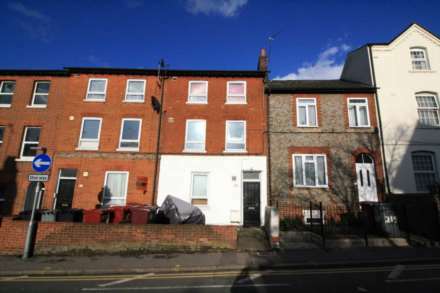 A well-presented first floor studio apartment located in the heart of Reading town centre. The accommodation is furnished and features a modern kitchen with appliances, modern bathroom and spacious living/bedroom area. Benefits include secondary glazing and electric heating. Reading Lettings are pleased to offer this stunning 2 bed maisonette. The property has been refurbished throughout to a high standard. Compromising of an open-plan kitchen/living room with appliances, two large double bedrooms both of which have brand new en-suites and lead out to private courtyard. 2 bedroom terraced house - 2 receptions - 2 double bedrooms - Modern fitted kitchen with appliances - Modern bathroom with shower over - Furnished - Gas central heating - Cat or small dog allowed - Permit parking - Available end of March.